Since November 1997 up till now, 454 million tons of oil have been extracted from the Azeri-Chirag-Gunashli (ACG) block of oil and gas fields in the Azerbaijani sector of the Caspian Sea, Azerbaijani Energy Minister Parviz Shahbazov said. 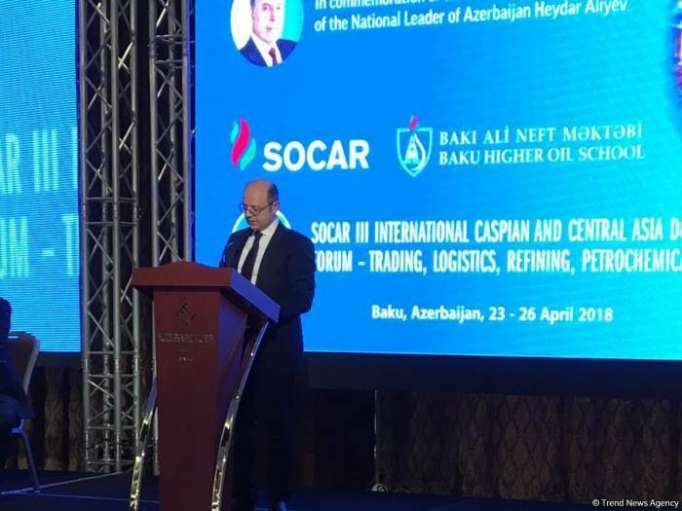 Shahbazov made the remarks at the 3rd SOCAR International Caspian and Central Asia Downstream Forum on Trading, Logistics, Refining and Petrochemicals in Baku April 23. He said that 144 billion cubic meters of associated gas were also extracted from the ACG. "The income from the ACG block amounted to $131 billion," Shahbazov said.